When you decide to start a business online, you quickly find out that Google is the big Kahuna, when it comes to getting traffic to your website. Google is the biggest source of organic traffic relative to all other search engines. When you rank high on google, good things happen. So, if you know how to make google happy, you too will be happy and if you make google mad, you will be in so much trouble. No body knows for sure what the surefire way to rank high on google is but there are certain steps that when taken have proven to improve a post’s or site’s ranking on google and other search engines. The purpose of this post is to outline and explain the most popular of these steps. Many years ago, I dreamed of starting my own business online and finally being my own boss. I imagined how glamorous that live will be and how exciting it will be to wake up and choose when and how I wanted to work. When I finally came around to doing it, I realized very fast that it was not going to be as easy as I thought. 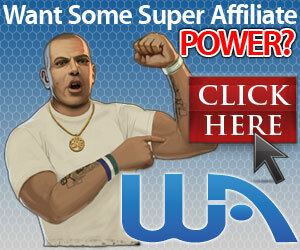 I sought for help online and found wealthy affiliate. I registered for their trial membership and went through the entrepreneurial lessons in a rush. I didn’t spend enough time completing the task suggested in the lessons. I just wanted to get on to it and start my business online. After working hard and long on my website and seeing no proceeds, I got frustrated. I had my doubts and wandered if I had been scammed. Were the lessons offered by WA useless? Then one morning, while looking through the community post at wealthy affiliate, a lesson on how to get traffic to your website caught my eye. I read the post and took many key points on the topic but the most important thing I learned was the importance of slowing down and actually learning. It was a wake up call for me. I decided to go back and take the entrepreneurial lessons again and that was the best decision I have ever taken in my online marketing career. Why? you ask. Well I found out that in my excitement to start my business, I schemed through the lessons and didn’t learn a thing. Why am I telling you this? Because, you need to give yourself time to learn, before you jump into online marketing. Rushing put me behind for months and when I took the time to learn, that’s when I started seeing positive changes in my business. What are the steps to ranking high on google? There are so many steps but this post will focus on keyword research, quality content writing, content sharing and other search engine optimization methods. For me, keyword research is the first step. During this stage, I brain storm and come up with as many keyword ideas as I can. I then take each of these keywords to a keyword research tool to see if I can come up with even more keywords. From the list of keywords, I choose what I consider to be the best and write my content centered around it. The best keyword in my opinion is one that draws a reasonable amount of traffic a month but does not have a high competition. As Kyle at wealthy affiliate teaches, I go for the low hanging fruit. This is the keyword that is easy to rank for. It is usually a sentence that refers to a specific topic. It is narrow and specific. They say ‘content is king’ for a very good reason. If the content on your site is poor, you will loose ranking on google. Why? Because people will visit your site only to leave after a few seconds. When people leave your site in short notice, google sees it as a bad sign. It means for the said keyword, people don’t like what they see at your site. Google want its users to have the best experience and they do that by pointing them to relevant content. If your content is not relevant and captivating, people will bounce and google will penalize you for it. If you are the first to write on a specific topic, google will rank you first for that topic. With time, your position can fluctuate but as long as your content is relevant to the keyword, you will remain on google’s first page. Months ago, I wrote a review on the ‘work at home university’. I was among the first few who wrote on that topic and that page quickly ranked on the first page for the keyword ‘wahprogram.com reviews’. Plus, you never know which page is going to rank well. Even after follow all the steps required, you could rank either way. Writing more improves the chances that some of these pages will rank well and drive traffic to your site. Once you get that visitor, the quality of your content will determine whether they stay to read the next page or leave. There are many things you can do to optimize your content for the search engines. It is important to try to mention your keyword in the first few sentences of your content. A great meta description can help drive traffic to your site. A meta description helps visitors get a summary of what your post is all about. It usually appears below the title of your post in google search. If it is appealing to the visitor, they will click and read your post. A great title that summarizes the content of your post accurately in one sentence is great. This will lead to readers spending more time on your site and will help improve the rank of that post on google. There was a time when meta tags/keyword meta tags played a great roll in ranking on google but it doesn’t any more. Google took it away because people abused it a lot. Keyword meta tags are still useful for ranking in other search engines. After you write and publish your content, make sure to share it on various social networks. Google’s ranking algorithm is complicated so you never know how it will affect you but the more active you are on the internet, the better your chances of ranking high. Further more, google indexes some contents shared on google plus, Pinterest and twitter. Even if sharing does not help your rank in google, it can be a source of traffic to your site. Pinterest is a huge source of referral traffic to my stroller website and some of my best ranked pages are indexed from google plus. I have noticed lately that a good amount of my traffic comes from image searches on google. I have the habit of giving my images precise titles. For example, if I am writing a review about a product called xyz, I make sure to name my image xyz too. So, when someone makes an xyz image search and click on that image, it will bring them to my site. It is very tempting to take the short cut but google will penalize you for it. Remember how I said google will drop your rank if your content is not relevant? Well, black hat seo uses the wrong keywords, false traffic and other techniques to get google to rank their pages high. The thing is, when people go to this site and realize it has nothing to do with the topic, they hit the back button faster than you can say wait and that tells google your content is not relevant. This will drop your rank like a rock for that keyword. The above list is my 2 cents about ranking high on google. I am no expert so I will like to hear from you. Tell me what you think in the comment section below. I hope this post was helpful to you. If you like it, please share it.